Want to work with ThirdWay? We'd love to find out if we could be right for you. 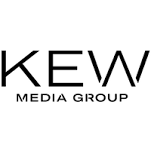 Kew Media Group, a leading content company, had a small and tired office space that they had outgrown both in terms of space and function. 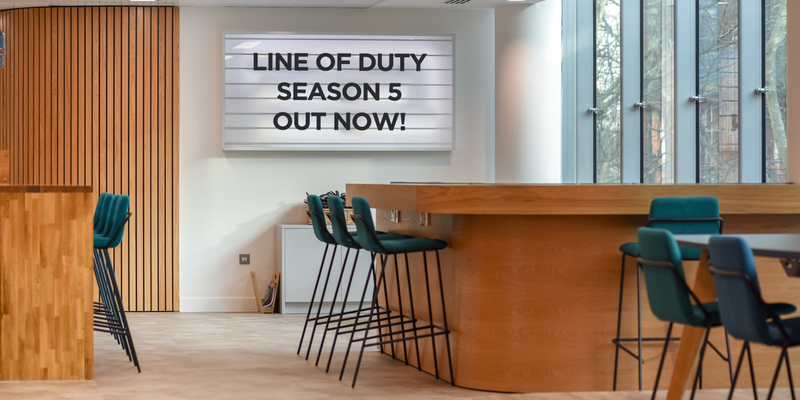 Teams were split across two floors in a narrow building and the office didn’t reflect the brand, their people or their unique ways of working. 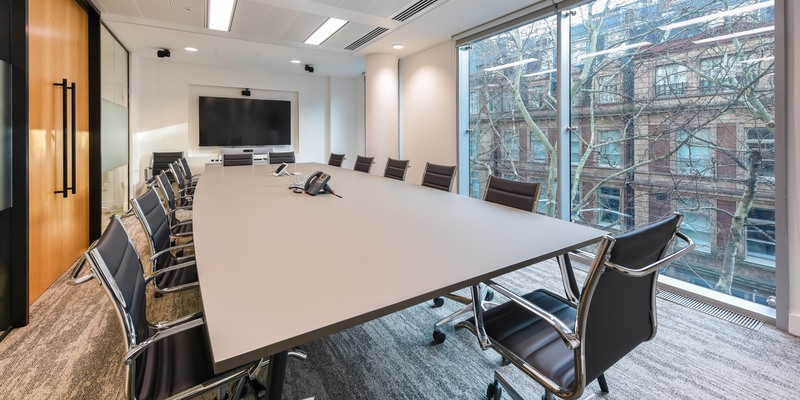 Their new space boasted a large flexible floorplate with a central core and the client was keen to create an environment that reflected their contemporary and media-focused brand whilst ensuring functionality would still be delivered. 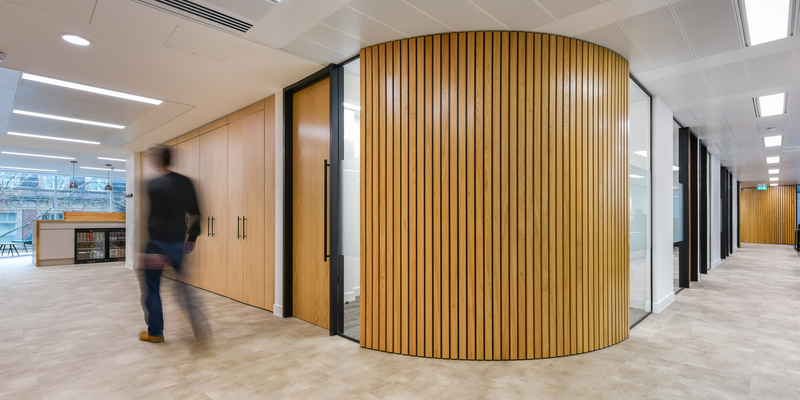 In addition to this, they required a lot of private office spaces (9 in total) and meeting rooms (5 in total) so the challenge was to ensure this cellularisation didn’t dominate the space and make it feel old fashioned, dark or like a series of corridors. Aesthetic inspiration came from the first site visit with the client: The floor-to-ceiling glass wall that runs across the entire front façade of the building provides a vista onto the tree tops that line Shaftsbury avenue below. 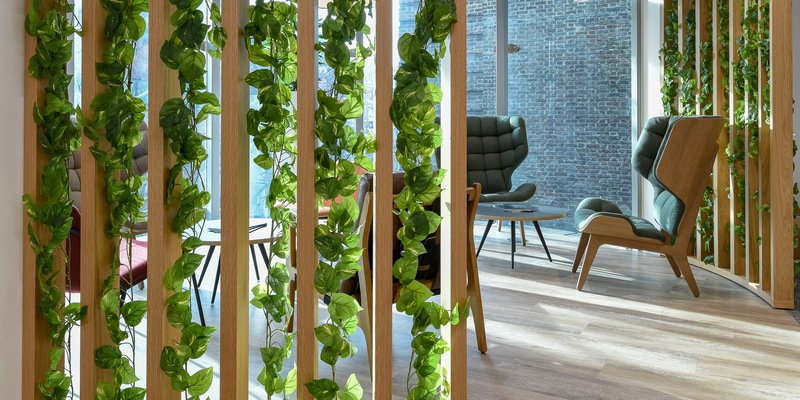 The design intent was to bring the outside in with greenery and natural materials while also bringing a sense of fun and liveliness, especially to the breakout space. 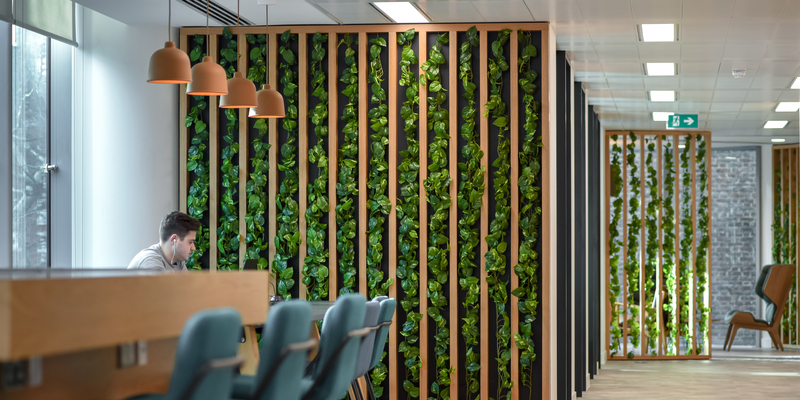 The use of timber, moss and warmer greys helped to deliver a space that felt organic and bright. 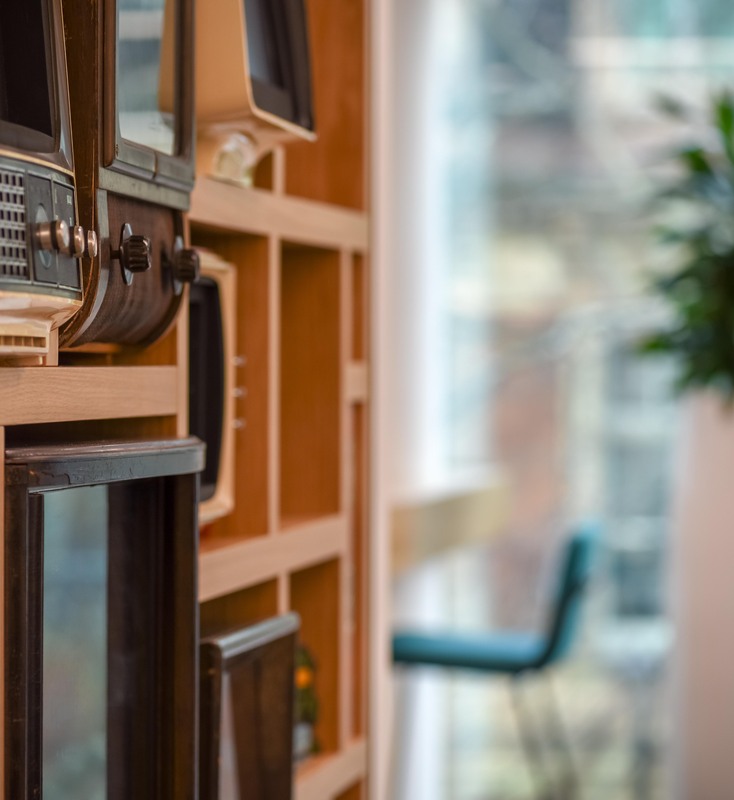 The unique retro TV wall in the entrance/ holding area was the showcase installation designed by Creative Director Rob Walsh, who sourced the vintage TVs and worked with a specialist to re-commission them. The TVs play Kew Media’s content via integrated iPad screens. 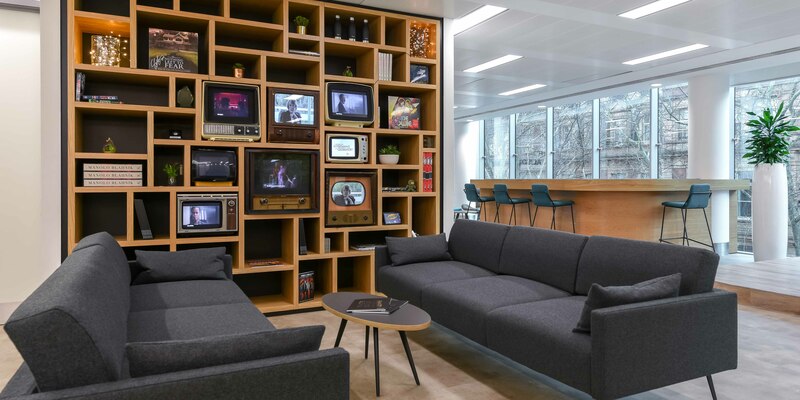 Key features, bespoke joinery wall for TV wall, living moss walls, timber slatted curved walls. A good brief is the foundation of a great office. That’s why we’ve created an online tool to help you start dreaming up how you’d like your space to look, feel and function, before we’ve even met.